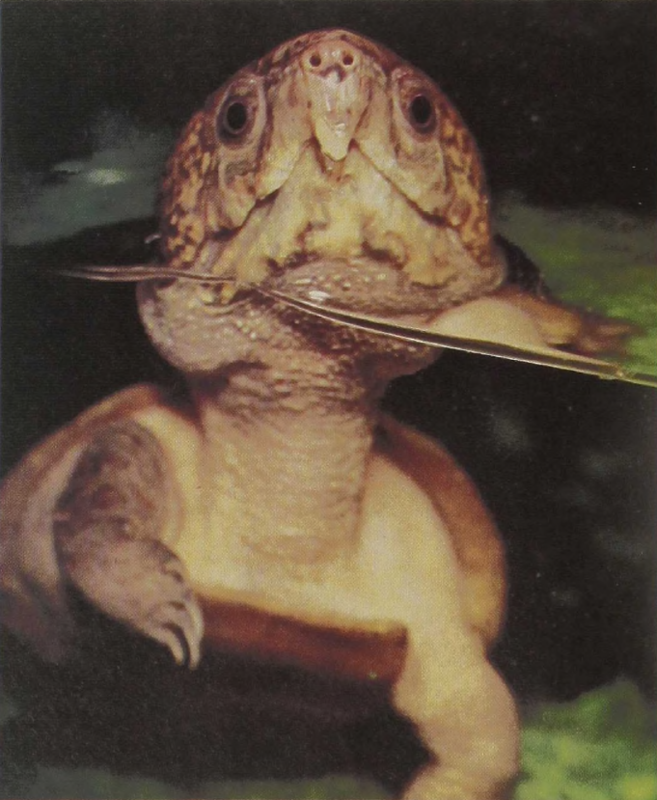 The southeast Asian Big-headed Turtle appears disproportionate, as if head and tail have outgrown the shell. The skull is enormous and cannot be withdrawn beneath the shell, which is normally about 5 to 6 inches long, although the total length of the turtle is about 12 inches. The top of the head is armored, which provides it with some protection. The species lays only two eggs at a time, and is supposed to feed largely upon invertebrates; when disturbed, it emits a squeaking call. A fast swimmer and an excellent climber, the Big-headed Turtle occurs through a wide range of southeast Asia, from Burma to China, in lowlands and in mountain streams.